Our customers are our highest priority - from your very first phone call to well after your machine is up and running. We strive to provide each and every Epilog Laser owner with the highest level of courtesy and service. Did you have a positive experience with Epilog Laser? Or perhaps you received above-and-beyond assistance from our tech support team? We want to hear about it! Please complete this form and share your experience with us. • The machine was down...the problem is now solved. • The troubleshooting pace that James set was comfortable for me...not too fast...not too slow...and he explained in easy to understand terms what was going on. • James kept the mood of the phone call positive. • James never got frustrated with the fact that I had to walk back and forth to the machine...nor with my technical weaknesses. • When all done my wife said "And that's why we buy Epilog". Thanks for such excellent service. James Coffee James Coffee Studios. I have been working with several tech support staff members over the last few weeks and just wanted to tell you what excellent customer service your team delivers. J.D. initially helped me with my Helix 60-watt laser tube and the installation of it and last Friday. Joe was amazing in assisting me with the alignment, etc. The new tube along with a new dedicated 220 volt outlet presented many issues for me as all of the settings now are trial and error and I’m working off of a 4-inch lens until I replace the previous 2-inch lens. Jordan helped me yesterday for a long while, and I appreciate all of them very much. Thank you for delivering the support that you do. Your technicians are wonderful, smart, and very courteous. I have spoken with others there and received top notch service each time. Just felt like I needed to let you know that these three technicians went above and beyond for me and I thank them and you. It was a blessing to me. I just wanted to take the time to tell you I really appreciate all of the Epilog Laser Engraving ideas that arrive to me via e-mail at Schuylerville High School and all of the ideas posted at the Epilog website. 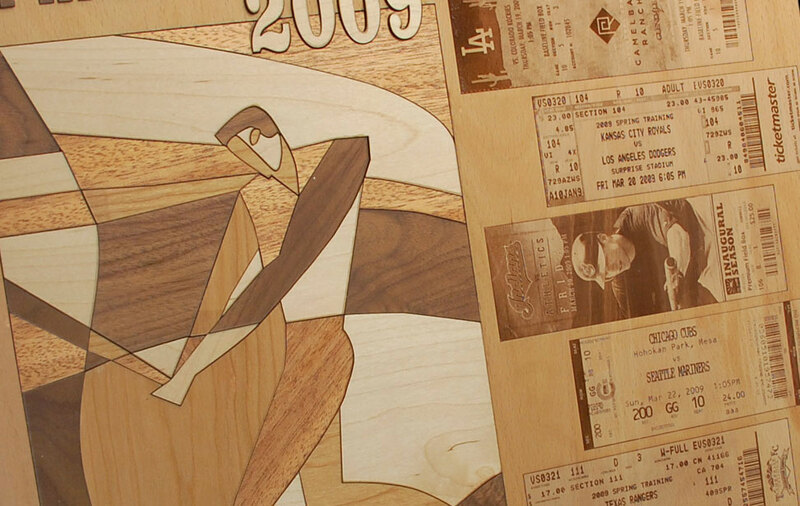 Over the years I have had the opportunity to develop some great projects with our engraver. Some of them have been developed on my own and some adopted by the ideas your company has sent me links to. Thanks again for all of the ideas. I find working with the school's Epilog Laser Engraver a wonderful experience. Once again I am reminded why I purchased an Epilog Laser. I researched for over 1-1/2 years and contacted many companies during that time. I read reviews and asked a lot of questions. Over that time, Epilog answered questions right away and would always follow up. They sent me a sample pack with information. There customer service was amazing when others said, "Oh no one will do that." As usual... one call to technical support, 5-10 minutes later issued resolved... I do appreciate Eplilog, the employees and all they do! THANK YOU TECH SUPPORT! I just wanted to take a moment to make Epilog aware of the excellent efforts of several of the employees who have recently assisted me in the repair of my Zing 16. From tech trouble shooting, parts ordering and even accepting the return of a part that turned out not to be needed through misinformation I had provided. I had experienced some difficulty and then complete shut down of the laser. Erick Saengchanh, Chansy Sengdara, Ian Vaderjaqt, Nicole Gonzales and Michael Schreiber provided super guidance/assistance to get my laser back up and running. As Jeff Aichinger, my sales rep., noted when I purchased the laser I could always expect this type of support when needed and again supports why I selected Epilog. We own a lot of production equipment for a wide range of processes. Rarely do I encounter technical support that seems really interested in getting problems solved; most these days are more intent on making service a "profit center" or spinning service into a new sale. Thank you for simply getting us up and running, with clear concise help and instructions. It makes us feel good about owning Epilog equipment and ensures we will continue to wholeheartedly endorse your company on every level. Years ago, we bought a Chinese laser engraver that worked for three weeks and quit. The retailer and the manufacturer were not helpful in finding the problem. It took over 100 hours of trouble-shooting to discover that there were two bad sensors that only worked intermittently. 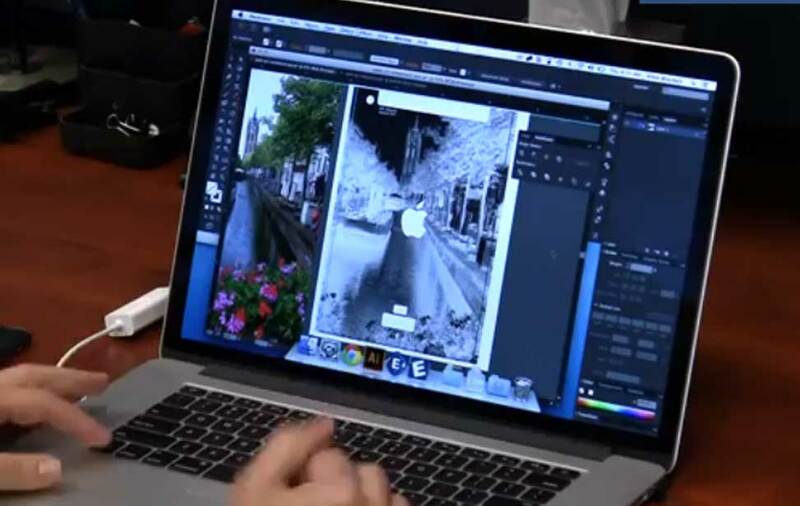 Once those were fixed, it worked for a few weeks and the software would no longer recognize images. Since then it has been one problem after another. Our principal allowed me to use our department funds to purchase another laser engraver. To make sure that we obtained a laser engraver that worked well and was easy to use, I talked to fifty teachers at the state competition of Technology Student Association about which laser engraver to purchase. They all strongly suggested we get a laser engraver from Epilog Laser. None of them recommended any other laser engraver, including any American-made laser engravers such as Universal Laser. We have had our Epilog Helix 50 Watt Laser Engraver for going on a year, and it has worked flawlessly! It was easy to set up, easy to learn how to use, and easy to teach to my students! This has been a dream come true as I have wanted an Epilog Laser to use with my students for engineering projects for over fifteen years! 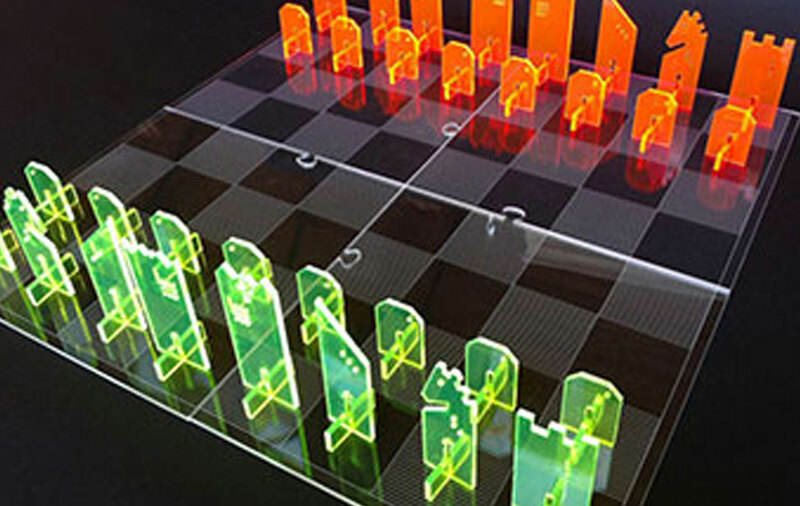 We use it for learning three-dimensional spatial relations, manufacturing, prototyping, reverse-engineering, creative problem-solving, trouble-shooting, engineering design process, cutting diagrams, geometric relations, and many other concepts. Students learn these concepts through projects such as 3D BB mazes, jewelry boxes with box-finger joint construction, 3D animal models, architectural house models, structural truss bridge models, structural truss tower models, remote-controlled airplane models, glider models, and numerous other projects for our ten different engineering classes. This has led to increased student interest, student engagement, fundraising for the department, personal enjoyment, and increased student enrollment. On Friday of last week, my laser encountered an unexpected failure of the motherboard on my Helix. I contacted CSI Manufacturing Limited on Monday to report my issue. A replacement motherboard was dispatched to me the very next day, allowing me to complete my order deadline. Without such a great service, I would have lost all credibility as a reliable engraver, which I have achieved only by owning such a well manufactured machine. Instances of failure since I purchased the Helix in 2005, have been rare and on those occasions, after-sales and technical assistance have been second to none. I am pleased to say that this has continued. In particular, Julie Williams at the Bristol Office and William Stafford in Ireland, were both incredibly helpful in sorting out my problem with an efficient and professional manner. They are a credit to CSI Manufacturing Ltd and to Epilog Laser. I have emailed you to bring this to your attention to acknowledge and recognise those who have helped me. They continue to cement and promote the Epilog Laser reputation. Thank you again to all of those who have helped me, it is appreciated. I want post a note of sincere thanks to Epilog, their continuous commitment to tech support, and in particular to a tech by the name of "Ian". I've had my Epilog mini for over 5 years and today I had a REAL need for service. I had decided (why??) to upgrade my operating system to Windows 8. This caused me to lose all communication with my laser. Believe me, I was STRESSED. I got up at 3 am this morning to try to get it going...and nothing I tried would work. I called Epilog, left a message and Ian called back within 30 minutes. He spent the next 2 1/2 hours working with me...and now my laser is working flawlessly (less the given operator error). Thank you Epilog and Ian. We are receiving our replacement CO2 laser cartridge today. I wanted to a give a very special thanks to both Epilog Laser and Engraving Concepts for giving our Epilog life again. I feel like I just had a newborn delivered. I am so glad that 5 years ago we choose to go with Epilog Laser, the service and support that we have received over the years is got to be the best in the industry. Thanks so much for all of your help and the attention you have given us in this time of need. It is not very often that one gets the chance to compliment anyone of their suppliers. Apart from the fact that the Epilog Laser is by far the best and most user-friendly machine in the industry, one cannot surpass the service that has accompanied the sale of this machine. Jordan, Chris and the whole team at Alfex are a fine example of this. The after sales service is by far the best I have received. Their commitment to ensure that customers are cared for and looked after, after the sale is complete is a lesson for anyone to take note of. The unconditional support and care given is greatly appreciated and will keep me an Epilog customer for a long time. Jon Stone, one of Epilog's international sales managers, is exactly out of the same mold although thousands of miles away. Thank you all at Epilog for not only producing a great product but for also producing the best team to go with it. We have had our Mini 18 35-watt laser for four years. We have used it in an educational setting with student from years 7 to 12. The laser has been used to produce templates for hot wire foam cutting of models. engraving of wooden models such as coffee tables and pencil boxed and the biggest items have been traditional wooden surfboards by removing the front cover to allow access for long items. Staff at the college have used for community groups such as scouts and for wedding decoration and the engraving of glass for trophies. Thank you very much for the great support. Dealing with Epilog so far has left me wondering why your main competition is still doing business. Buying our first engraving machine from Epilog has been one of the best decisions we ever made. Not only has Epilog stood behind their product, they have also made customer service a top priority. The tech guys sure know their stuff and they make every possible effort to get things up and running as quickly as they can. We can rest assured that any promise made to our customers will be kept on time, thanks to you guys. Epilog is a big jump product for us - like the fax machine was- or GPS is. In some ways, as an artist and designer - the Epilog could be an even more significant leap. I own a Legend EXT 120 and love it! Today I’m helping out a friend who is also an engraver and he has a model from another laser manufacturer. Let’s just say I’m SO glad I bought the Epilog. The Epilog is superior on so many levels - the interface, the design, etc. Glad I shopped around and actually went to the Epilog headquarters in Colorado before buying ours. It's a great machine, and the service is far beyond excellent! I just got off the phone with your tech staff and I think someone should say THANKS!! for their help. Unlike Verizon (who started the whole issue and crashed my lan) your staff was quick, courteous and knew what they were doing. Though the call took 26 minutes, most of that was my old computer rebooting and Corel hanging once (of course it would do that when speed is desired). So my hat is off to your folks there, if only all tech support were like yours. Now-- back to burning things! I must say that Epilog's service and support has always been outstanding. I have worked with your technical support team and with your order group before and have been extremely pleased with the way everyone does everything possible to keep the customer satisfied. Keep up the great work! It seems it is so seldom that anyone is pleased with any company's customer service anymore, so I am happy to let the rest of the world know how great Epilog's has been. Finally got the rotary attachment for my Zing 24, in just two days I have done over 50 glasses. Customers have said I will get a lot more work from them. Love it! We had a problem with the mother board on our Mini. Warranty had just expired, but the problem had been occurring intermittently for a couple of months prior. Tech support assessed the problem, made the recommendation for repair, and was able to get the cost covered under warranty. Great service and great support...we are extremely pleased with the machine and will hopefully be purchasing another Epilog in the near future! Epilog laser has the best customer service I have ever experienced! Each time I have called, I have been given detailed instructions of how to open my machine and test different parts to determine the problem. The representatives are very patient, describing each part and where to find it. Replacement parts have been shipped overnight with great instructions on how to install them. I would recommend Epilog to anyone! We received our Epilog Laser in December of 2008. This machine runs eight hours a day all week long and we have had no problems. Very efficient and easy to operate! When we did run into a technical problem, we made one phone call, diagnosed the problem with a technician and we found out it was under warranty, and they sent the part overnight in the mail! This is what we call excellent customer service! I've had my Epilog Legend 36 EXT for almost 2 years now and in that time I've not had any problems with my equipment. 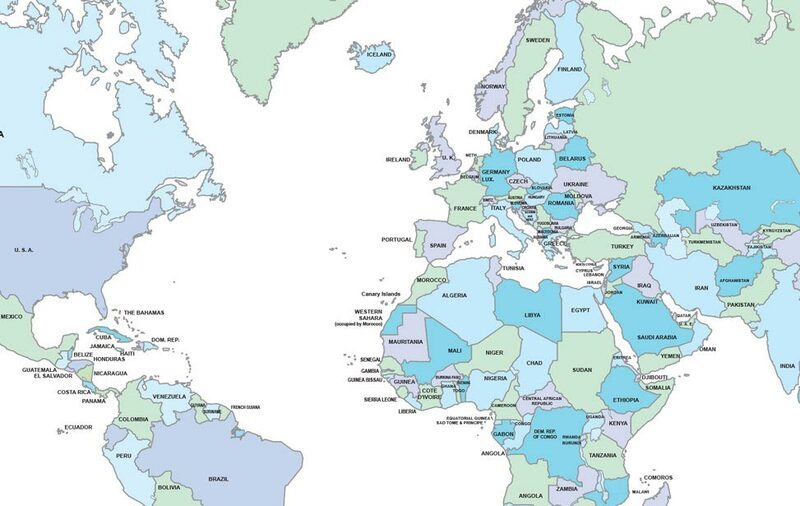 In that time, I've been able to work on some extremely creative projects with people from all over the world. I do have a background in computers but before contacting Epilog, had no experience in the use of a laser. Between your documentation and support I was able to get up and running in no time and focus on building my business. I decided to try and build a company that allowed me to mix creativity along with the technical skills that I've developed over the years. This led me to start 5280 Lasers LLC, which catered to the artistic community. Through the use of my beloved Epilog, Myspace, Facebook and lots of caffeine, I've been able to produce things in collaboration with artists that I never would have thought possible. Last night I was working on a deadline for a client on an art panel and I noticed that my laser made a strange noise and the job didn't complete properly. After speaking with the Epilog support technician, Dan, on the phone the next morning, I was told that I'd receive my part the next day which will still allow me time to meet my deadline. I'm very happy to say that every interaction with Epilog has been pleasant. From pre-sales, to training and eventually technical support, have all been great! When I was looking at laser equipment, one of my major concerns was support and I'm extremely pleased I decided to purchase an Epilog laser, thanks! Have been busy but wanted to let you know that the Mini got here and in good shape. Had everything ready so all we had to do was set it up and start burning. And what a machine! We have engraved everything from denim to acrylic with fantastic results. Even marked an identification number on a pair of handcuffs for a local policeman and logos on an ice fishing spear. Possibilities are endless and the biggest problem is just getting some organization into the mix. Couldn't be any more pleased and am very glad that we decided to go the Epilog route. Thanks for everything and if I get stumped I’ll be calling but it’s so easy to run I don’t see any need for that yet! I have owned an Epilog Legend Laser 24TT for over eight years and would like to acknowledge my distributor, Mr. Tom Doran, and the Epilog technical support team who have consistently advised and assisted me with any issue that I have encountered. They have always been friendly, timely, more than fair, and willing to find a solution without trying to sell me equipment I don't need. I have found Tom to be my friend, advocate and someone that I can count on. I guarantee that my next laser will be an Epilog, and that Tom will sell it to me. [To Epilog representatives at Innovative Cutting Systems] You have opened a whole new world for me! I don't think too many days go by that I don't use my laser. When we go out of town I miss it! I absolutely love to experiment with it. I am showing my husband some of the possibilities and he wants to start participating in the business aspect of my business. For me it is a dream come true. We are having a lot of fun creating new things and coming to the realization that the possibilities are endless. You gave me the necessary knowledge and inspiration to explore this new world. I can't begin to tell you how much I appreciate the time you spent with me. You were very generous in sharing the knowledge and different applications. I am having a blast using different types of fabrics and materials. Once again thank you and have a wonderful New Year. I just want to say that without a doubt, Epilog has the best service department that I have seen in 20 years. They know what "customer service" means in a time where most companies don't even think of that phrase. They always take care of your problem in a courteous and expedient manner. There is never any of this hiding behind email or voice mail. They dive in and take care of you... period. 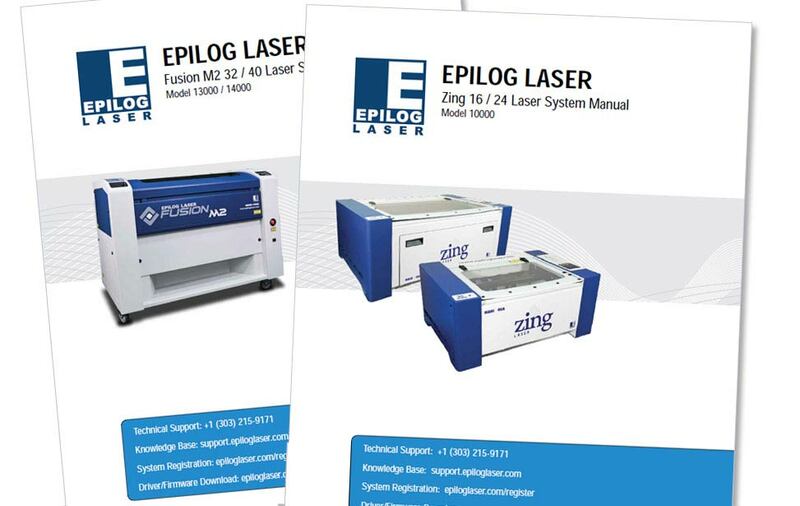 If you are looking to buy a laser engraver, Epilog is the way to go. All machines will have a problem now and then, and you want a service department that is there for you! This company is on it. Today I dealt with the Technical Support Manager, Eric Mitchiner and he helped me out of a jam even when he did not have to. Thanks again to the Epilog Team. I would like to take the time and say thank you to the Epilog Team. I hate to say it but if I called some other laser company I don't think they would have cared like you did. I have let you know that my distributor, Mr. Hatley and family took very good care and went out of their way to get me back with a new machine so I did not lose two years of hard work with my business. They responded to all my e-mails with all the answers. They are all very professional. I could talk to all of them and it felt like I'd known them much longer than only two years. Nolan came all the way to Jacksonville, North Carolina, to get me set up with my new machine - he taught me everything I needed to know and a few new tricks as well. He was very professional and I hope to say that I made a new friend. I consider you all my friends from Joshua, a former sailor in your tech support department to your graphic designer Ben who helped a lot. You are all very professional and going on my second machine, I would come back to Epilog over and over. Your customer service, to your sales department, to the distributors - they're all great people. I thank you all for your support and Roy, Natalie and Nolan for all the help and bending over backwards to help me to get back on my feet. My hats go off to you all and I know I have made some good friends during some rough times I went through. Thank you Epilog for everything! I have had a Mini for two years now. Wonderful machine!! On four or five occasions I have needed to discuss an aspect with your technical service staff. I found them universally easy to reach, very knowledgeable, and able to put us on the right track quickly Well done! Stan Booth Crystal Images Inc. Being retired and on a limited budget, I took a chance and bought an Epilog Mini 18 on eBay. It arrived in fair condition but wouldn't work properly. The home position sensor was out of adjustment and there was a missing magnet, but in just a little time you folks had me up and running. It was a chance that paid off. I will definitely buy new and bigger as soon as I get going with my business! I've had my laser for four years and have enjoyed it a lot. It started giving me difficulties, but your technical support team has been wonderful. They have walked me through every process and made sure I got everything right. I'm a senior with limited education and your team made me feel confident that I could get my system running. If I can do it, anybody else can too. I know your technical support team will make my laser enjoyable once more. I purchased my Mini 24 about two years ago. In that time I've had two occasions to call tech support. The first time was entirely user error. The second occasion was a minor mechanical issue. In both incidents, the people on the tech support line were courteous, helpful and very patient. In this day and age when mediocre customer services is the norm (and the customer is glad to receive that much help), your tech support team has shown an outstanding level of professionalism. Please let everyone on your tech support team know that they are doing an outstanding job and to keep up the good work. My new Epilog Laser Mini has been in my possession for three days - during this time I've accomplished things that would have taken me weeks without it. It's a fantastic machine! The support (information, training, etc.) I got from your Norwegian distributor was outstanding. Thank you very much! I can't say enough about the tech support I consistently get from Epilog. Anytime I have a problem, it's fixed right away with their help. As far as parts, where else can you have your parts shipped overnight at no extra cost? Epilog keeps my machine (and my business) running the best it can. You can't get this kind of service from a Chinese manufacturer! I just wanted to thank you folks for the great service. We have a 40-watt Legend, in use eight or nine hours a day for more than four years. Much of it vector cutting 3/8 acrylic. I push this machine hard and it has preformed better than I ever could have imagined. It paid for itself in the first month. You are always very quick and hassle free. This machine was the best thing I ever invested in. This is truly a rags to riches story. I would like to share a story about exceptional service. A company that went above and beyond. 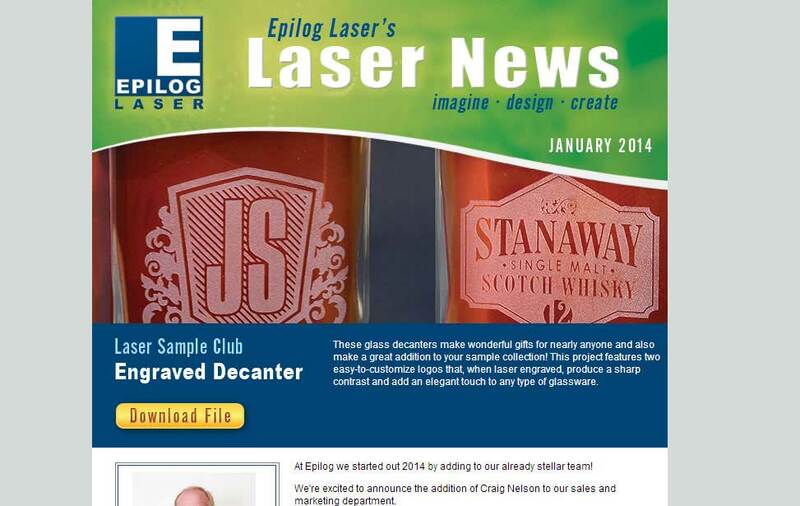 This company is Epilog Laser, and equally important recognition for my sales rep, Tom Doran. 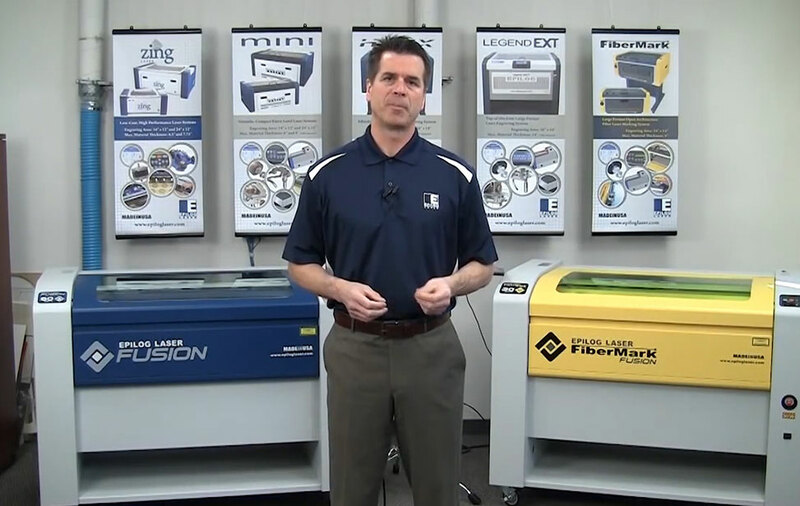 My story starts out with the purchase of one Epilog Legend 36 EXT 75-watt laser. We received it and were so impressed we quickly purchased another. Shortly after we started having minor problems with the first laser we purchased. We did what everyone does - call tech support. Tech support and Tom Doran made sure we were never down long. Even with their tireless efforts, we were still having problems that could not be duplicated at the shop even with them using our old parts. We limped through for a while and instead of having us fixing machines time and time again, Epilog and Tom Doran did the unexpected. They replaced both of my machines with brand new ones. They paid for shipping and had people here to unload, set up and repack my machines. At this same time I was having trouble with my diamond scratch engraver. This engraver is 12 years old, but styles have not changed much, just software. I was told to build a crate and ship it to them. They would fix it and send it back quickly. Four weeks pass and I finally get the engraver back. To my surprise, it does not work. By now my crate is destroyed from the shipping and I am told to build another and send it back to them to fix it. After dealing with this company and being without a machine going on two months, I was getting frustrated. Over a telephone conversation I mentioned what Epilog is doing for me. I was told that if a company would do that for me then I should buy all my machines from them. So that is what I will do! Jason Zoucha Sun Devil Trophy Inc. The few times I had to call tech support they stayed on the line until we had the problem resolved, usually a minor problem, but at the time it seemed major. Our Epilog laser is the BEST INVESTMENT we have made in equipment since opening our doors six years ago. It has opened new doors for our business. I bought a Legend 24 in 2003. I've had occasion to call the tech services department maybe a dozen times since then for one thing or another, and each time I am treated like gold. Every technician I have dealt with has exhibited both competence and patience, although one technician in particular, Dan, deserves really high praise for his ability to patiently step me through each procedure to effect repair. I am always pleasantly surprised by Epilog's policy of going that extra step in customer care. No one treats their customers as good as Epilog does. No one has a tech department that even begins to compare for: a. response time, b. one-on-one step-by-step help, c. broad-based knowledge of equipment and materials. I was talking to one of the reps from another manufacturer the other day--they call from time to time to see if I'm 'in the market'--and he urged me to seriously consider his machine. I described my last several encounters with Epilog's tech department, then asked him if he could assure me such consistently high-quality service from his company's tech services. He was very quiet for a very long time while he tried to think of a way to say "no, but..." without losing my interest. He could not. Thanks again!